UPDATE 3! 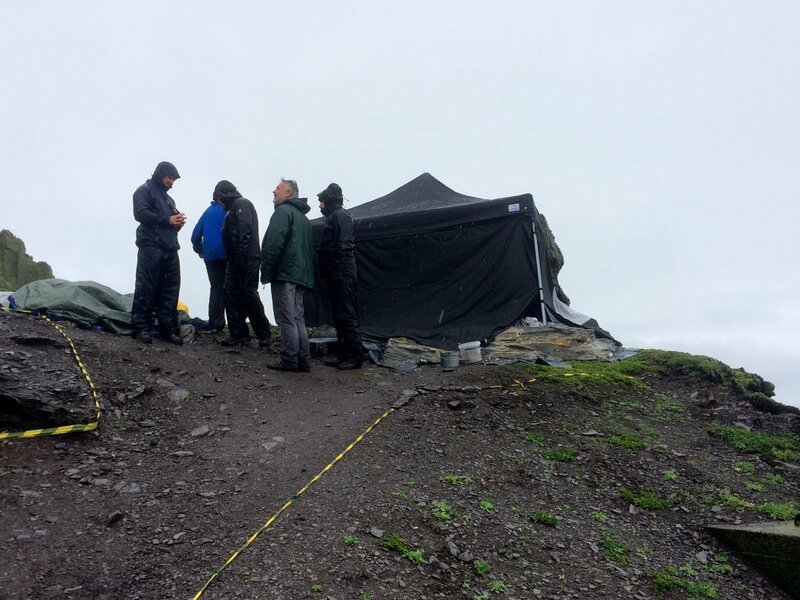 First Pictures & Rumors from the Skellig Michael Set. Good Weather Expected Tomorrow! 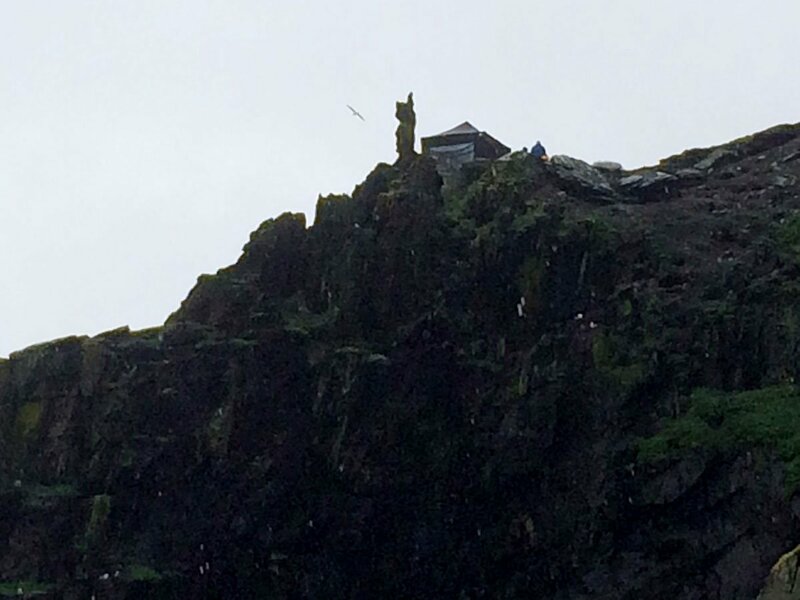 Next week’s shoot at Skellig Michael for Star Wars Episode VIII is rapidly approaching… and we’ve got rumored information about the set-up, along with a few behind-the-scenes images of the set-up for filming. 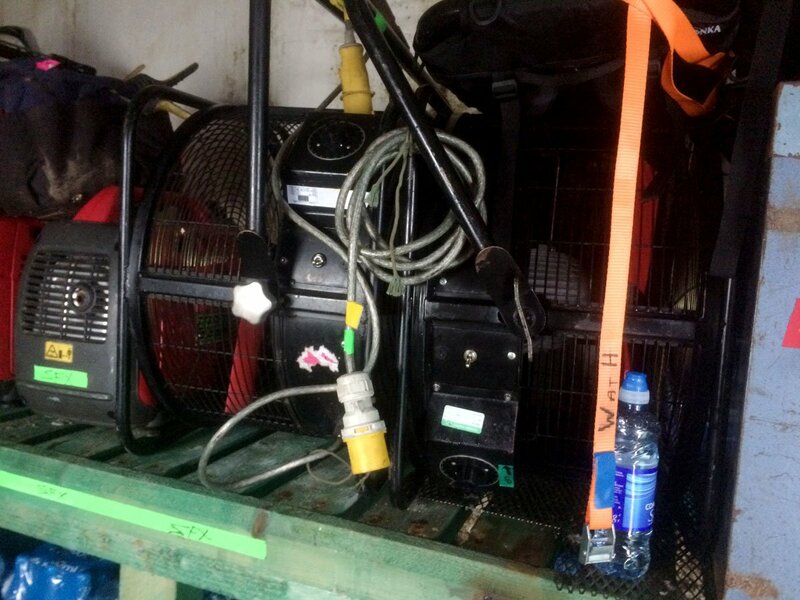 A huge production crew for Star Wars VIII – the sequel to the film shot on the World Heritage Site last year – arrived in South Kerry on Tuesday and visited Skellig Michael… The director [Rian Johnson], producer [Ram Bergman], and head of photography [Steve Yedlin] for the blockbuster film – along with up to 30 pre-production crew, were ferried on to the island at around 2.30pm. The crew brought no equipment on board the boats with them, but it is understood that they were walking the island and taking pictures, and spent a number of hours surveying the area. The scouting in question happened roughly ten days ago. Those are some important names for the production of Star Wars Episode VIII, so it appears that, since the crew for The Force Awakens is seemingly absent, there were not any necessary reshoots for that movie in this particular location. There are a few restrictions – but worth noting is that filming at dusk is apparently on the horizon. On to the good stuff. Recent island visitors have visually confirmed that the crew of the movie was there. 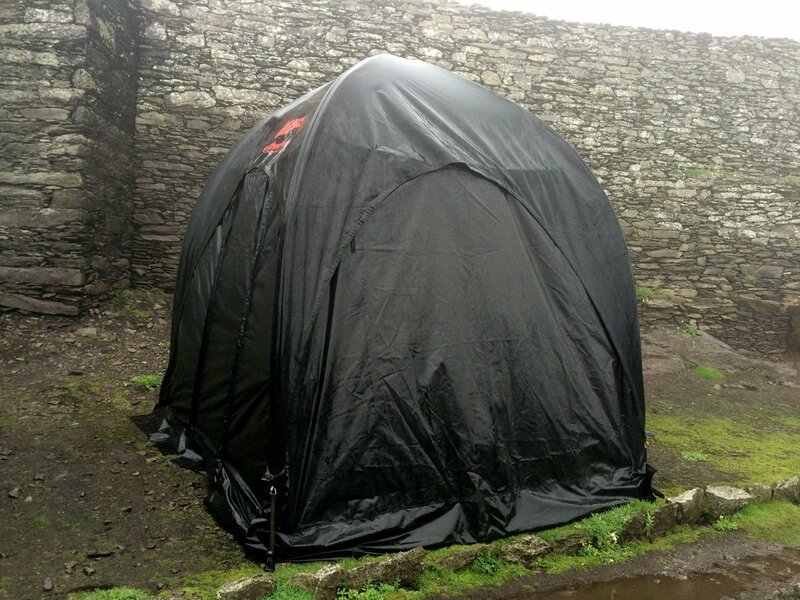 Furthermore, a reader of ours snapped a few photos of the set-up showing the tents and some of the equipment. The reader – Ronan Nissenbaum – is not a member of the crew, but he and some of his friends managed to get to the island right before it closed for the weekend. Ronan also apparently heard a few things about what will be involved in the shoot. Rumors – and potential mild spoilers – will be listed from this point on. 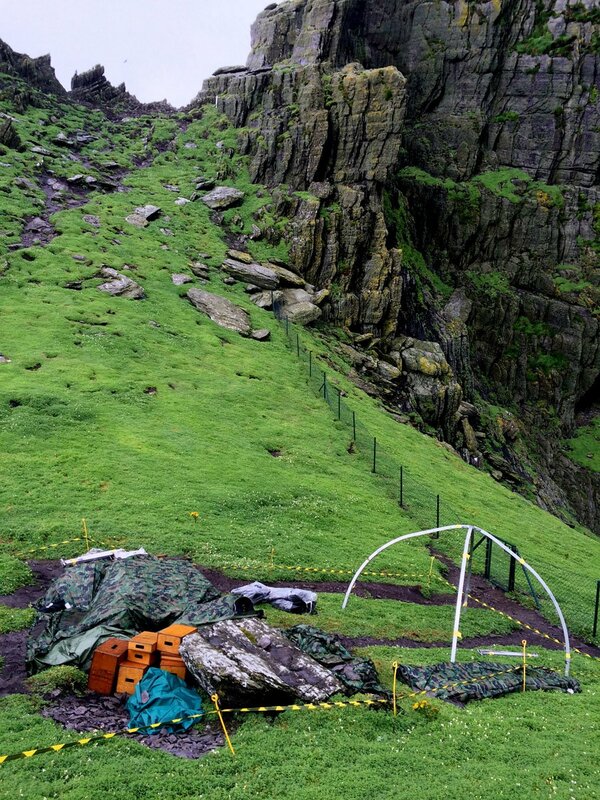 Tents and tarps full of equipment were all over the island completely unguarded apart from one tent which lay on top of a fake sandy coloured rock built for the filming… My guess is Luke will be standing on that tomorrow. Talking to people who I can’t name as they were afraid of getting in trouble, we discovered that there were definitely droids already locked away on the island (presumably BB-8 or R2-D2 or both, but couldn’t confirm because they hadn’t seen any of the movies). 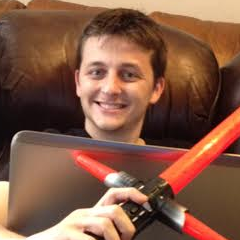 Along with the droids were weapons, presumably a lightsaber or two. We also discovered that the set had been described as a “Jedi Monastery”, (although I don’t know the validity of that) and scenes were to have wind and rain machines, which we later discovered and took photos that you can see here. Something we definitely know is that right now, Mark Hamill’s family are in the United Kingdom. Since they were there when he was filming for The Force Awakens – or otherwise hanging out at Pinewood Studios – it can be safe to presume that he will be present at the shoot as well. It is likely that Daisy Ridley will also be there for filming, as she was there the last time footage was shot at Skellig Michael. 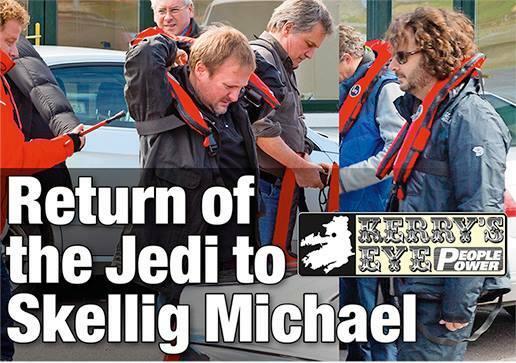 Stay tuned to Star Wars 7 News as we continue to cover all things related to the Skellig Michael filming this week. 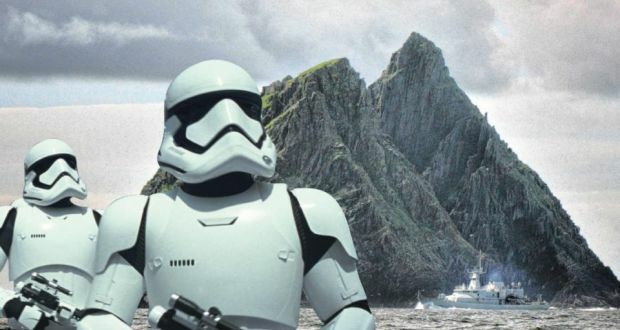 High winds around Portmagee and Ballinskelligs saw filming of Star Wars: Episode VIII on the Unesco World heritage site of Skelllig Michael cancelled on Monday morning, with the small boats which service the site refusing to go to sea. 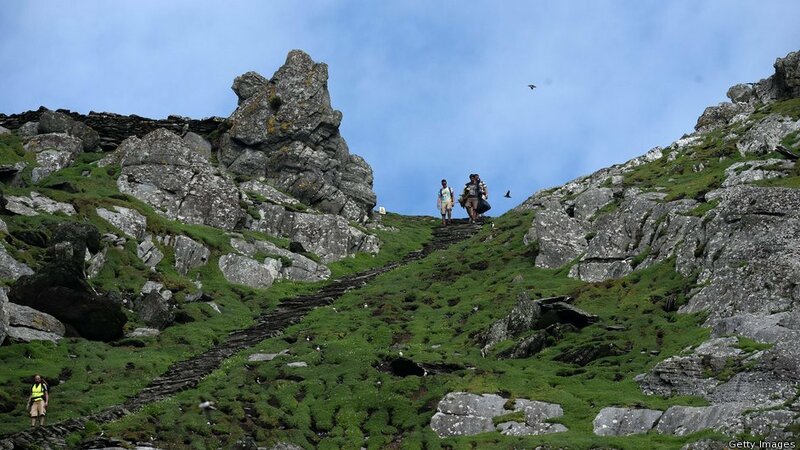 Final preparations are being made in Co Kerry for filming of part of the next Star Wars movie on Skellig Michael, 12km off the coast. 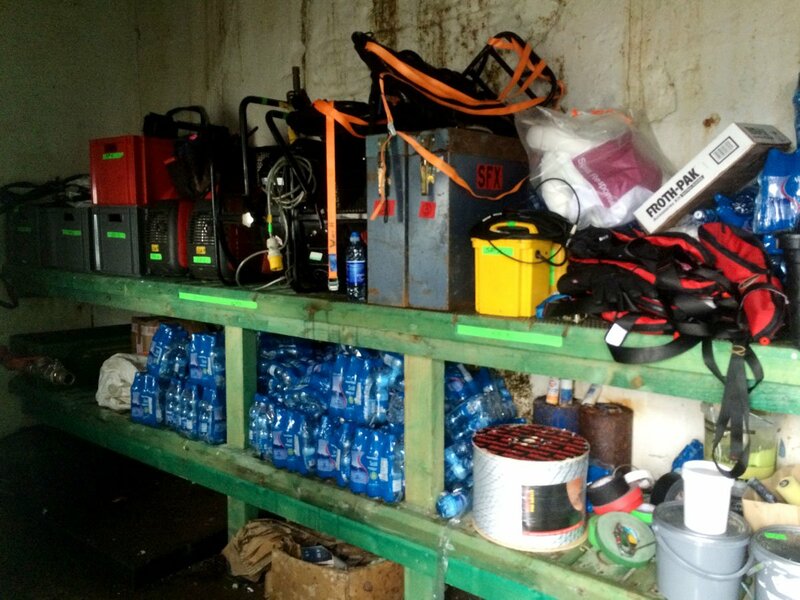 Cast and crew members flew into Kerry Airport this morning on a private jet from London. Filming is due to start tomorrow morning. Thanks for Terrence Mulvey for the tip.